Series 18 of NECA‘s long running Predator toy line is in stores now! 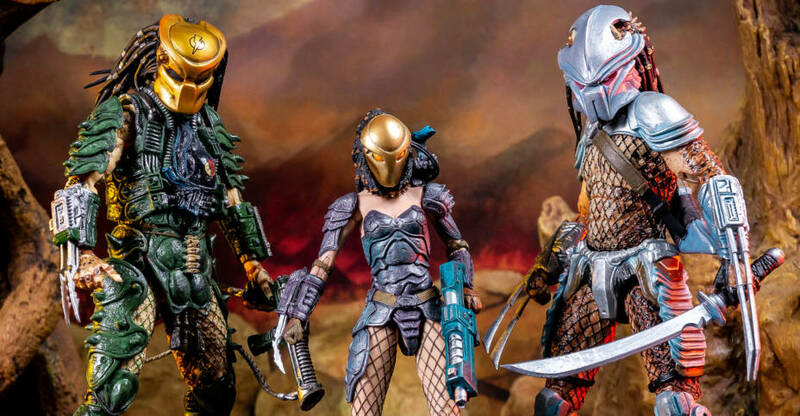 The newest wave features three characters inspired by Dark Horse Comics’ various Predator comics. From Predator: Life & Death you get Hornhead Predator, who pairs up perfectly with the Ultimate Ahab Predator, who was featured in the same series. Machiko Noguchi and the Broken Tusk Predator (aka Dachande) are featured in the classic Aliens vs Predator comic series, and look great with any of NECA’s Alien Xenomorph releases. We picked these figures up from sponsor Entertainment Earth. After the jump, check out over 65 high resolution images and my thoughts on the figures. Over the last few days, NECA has shared more items as part of their 5 Days of Downloads. These includes some new visual guides for Predator and their Mego style releases, as well as a new Pan’s Labyrinth Diorama Background Download. We’ve gathered up the items, and you can check them out after the jump. NECA is providing them in ultra high resolution as well. Click the headlien of the story for a bit of info, and for those download links. The new Aliens – Ultimate Alien Warrior 7″ Scale Figures and the Predator Series 18 Figures are available now. They have been posted on the NECA Ebay and Amazon stores. These figures are shipping out to retailers soon, and should hit stores in early November. Check out links below. Initially revealed over a year ago, Predator Series 18 from NECA looks to be hitting store shelves soon! 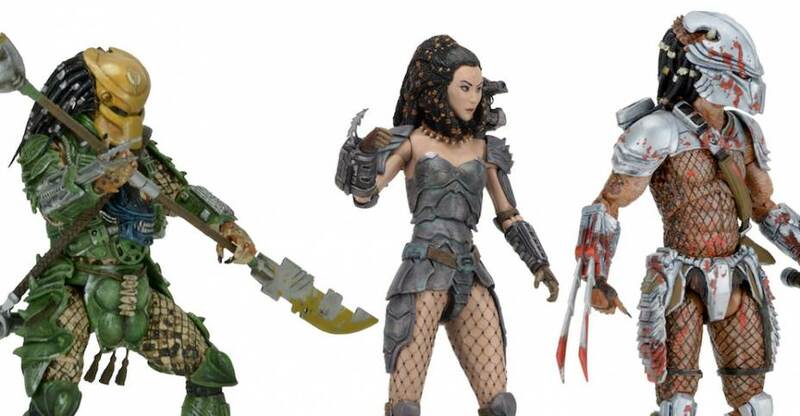 The Dark Horse Comics inspired assortment includes three oft requested figures; Hornhead Predator, Broken Tusk Predator, and Machiko Noguchi, a human female who is part of a Predator Clan! The figures should begin shipping to retailers by months end, and should be available from stores by mid-November. They’ll likely be available direct from NECA before that. For now, check out the new final packaging photos for the three figures. 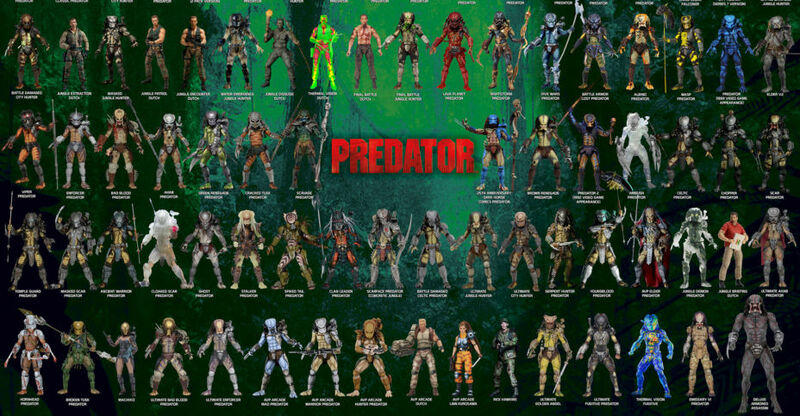 NECA’s longest running action figure line continues with an entire series dedicated to Dark Horse Comics Predators! 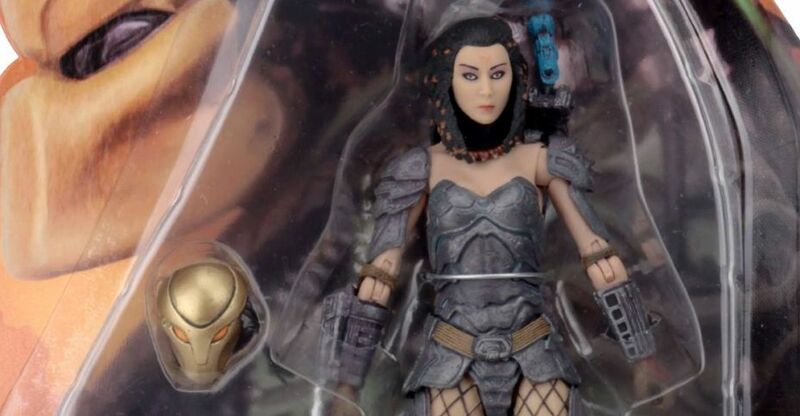 Series 18 features three action figure debuts that are some of the most requested by fans: Hornhead, Broken Tusk and our first female Predator, Machiko! Hornhead made his first appearance in Predator: Life & Death, and is a great companion piece to the Ultimate Ahab Predator, also from the currently running comics. He utilizes the new Ultimate Predator body, and comes with a removable mask and sword accessory that fits in a sheath on his back. Broken Tusk originates in the classic 1990s Aliens vs Predator comics, and his epic story arc also includes Machiko Noguchi, a human colonist who performs the incredible feat of earning his respect and joining his tribe. Broken Tusk utilizes the new Ultimate Predator body and comes with gun and bladed weapon that measures over 12” in length! Machiko has a removable mask, extra interchangeable hands, and rifle accessory. We’ve paid close attention to detail to make these as accurate to the comics as possible. Hornhead and Broken Tusk stand 8” tall; Machiko stands 6.5” tall. Each has between 25 and 30 points of articulation. Blister card packaging. 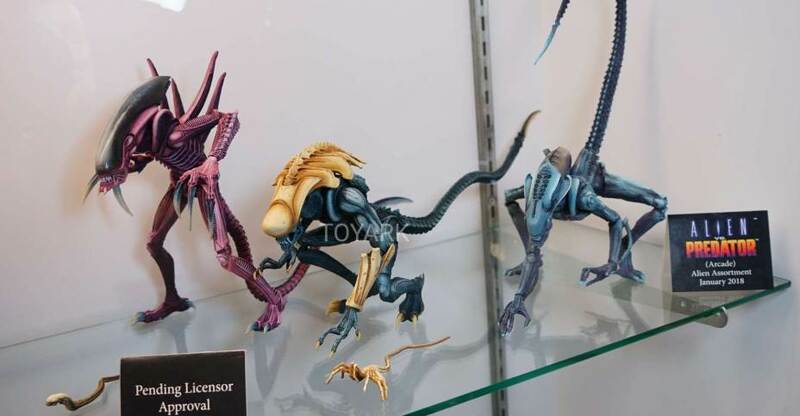 Here are the Aliens and Predator figures on display from NECA Toys as San Diego comic-Con 2018. These include the Alien: Resurrection figures, the new Fugitive Predator, brand new Kenner Aliens and more. 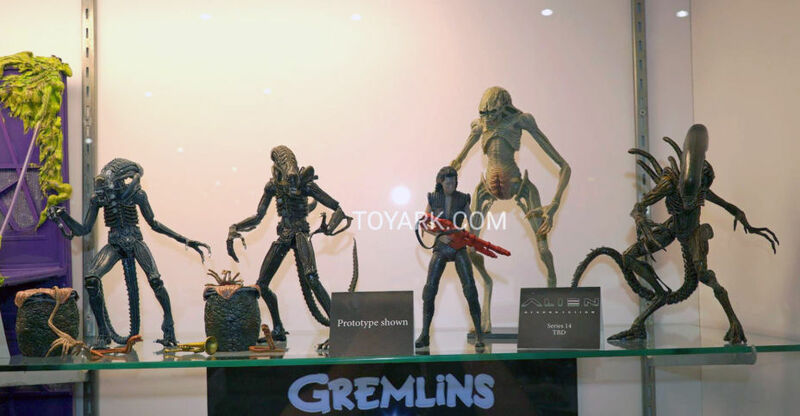 Here are the Alien and Predator figures on display from NECA at Toy Fair 2018. These included our first full look at Aliens Series 13, which is the latest Kenner inspired series. Also shown were numerous Predator figures, and the new additions to the Alien vs Predator arcade figure line up. NECA has posted a nice image collage. 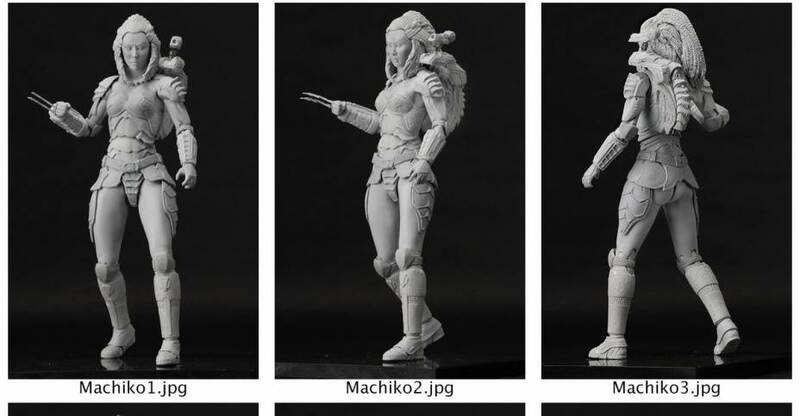 The images showcase the detailed sculpt used for their upcoming Machiko Noguchi action figure. 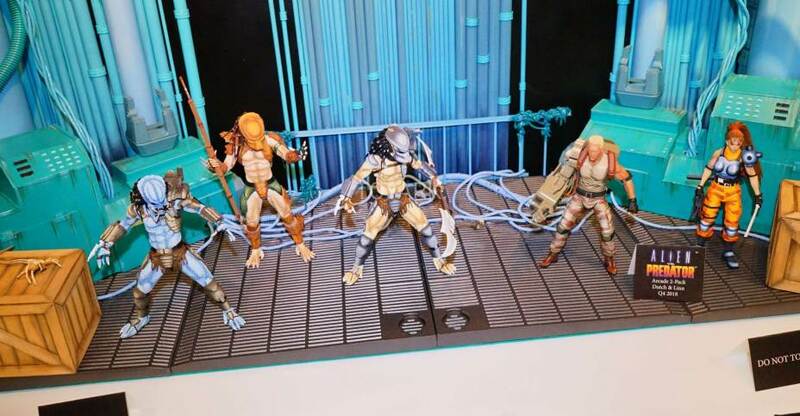 The highly anticipated figure is part of their Predator Series 18 assortment. The figure, along with Broken Tusk Predator and Hornhead Predator, is due out in November. Click the banner image above for the full size pic. 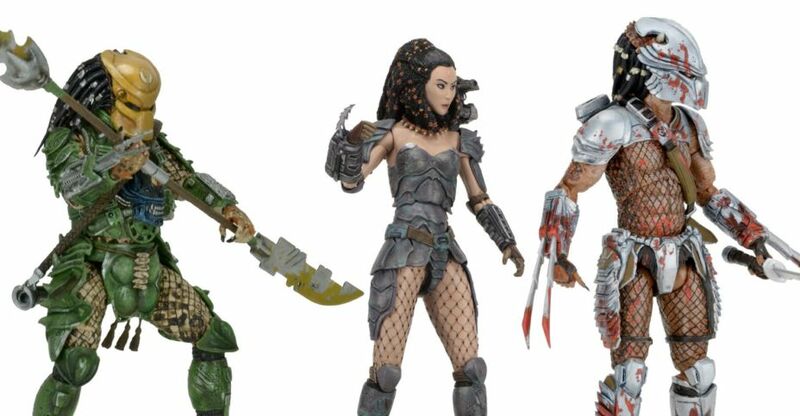 As fans had been hoping for, Predator Series 18 from NECA features three figures from the Dark Horse Comics series. Full details will be revealed a little later today. For now, we have a new official picture for each of the three figures. Included are Hornhead Predator, Broken Tusk Predator and the highly anticipated Machiko Noguchi, a human female who is part of a Predator Clan! NECA has released photos and further details. Check back soon for the full details on the figures. Read on for all of the photos. There are over 160 photos to check out. All times are GMT -4. The time now is 2:19 AM.